Matt and David Baker are a father/son team, working together to provide bin rental service to meet all of your needs. David has a history in the transportation industry and for the last 14 years has been a successful realtor active in the community. Matt, a full time firefighter, also a realtor understands the importance of safety and customer service. We have put together a dynamic team of service oriented people to make your project, big or small a positive, hassle free experience. We look forward to helping you with all your bin rental needs, big or small. Bin There Dump That Orangeville specializes in residential friendly Dumpster Rental, Waste & Junk Disposal! I wasn't sure that I would find an appropraite disposal service to suit my needs, but the variety of bin options made my decision easy. We offer dumpster sizes of 4, 9, 14, and 20 yard. Use our roll off dumpsters for junk removal, debris disposal, construction projects and more. Schedule a pickup at any time during your rental period. We maintain a highly experienced team of customer support representatives that provide our customers with expert advice on their disposal projects. Our team has worked with customers all over the city to help make sure they received the right roll off containers for their cleanup. So if you aren't exactly sure which size is going to work for you, don't sweat it. We can help you figure it out. Our dumpster rentals in Georgetown are available to you whenever you have the need for a junk removal service, or simply need to offload some trash. Our customer service center is available to assist you with your project to deliver the best size bin for the job. Bin There Dump That Orangeville the easiest and most reliable bin rental service to use in the in the Orangeville area. Simply because we go above and beyond to make sure we provide you with the the best bin rental service and customer service you can get from a bin rental company. If you haven’t used the bin rental services from Bin There Dump That in Orangeville then give us a call for your next home renovation cleanup and see what our bin rental service is all about. We have a variety of dumpster sizes to meet the needs of any size job of trash removal or garbage removal. We always keep our rental bins well maintained so that our Orangeville customers can get the best use out of them. 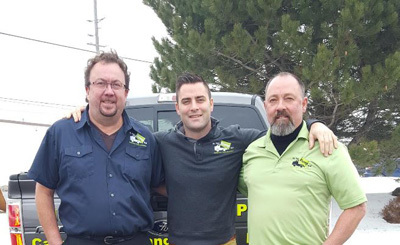 Our Orangeville bin rental specialists are looking forward to speaking with you and to answer any questions that you may have about our dumpster rental services. The main goal here at Bin There Dump That Orangeville is to provide our customers with the best bin rental service in the area. We do that so that we can keep a positive ongoing relationship with our customers. We look forward to providing you with the best bin rental and junk removal service in Orangeville and surrounding areas for several more years. After using our bin rental services we want you to be happy enough to write us a positive review and recommend our bin rental service to your family and friends. Bin There Dump That Orangeville always in the right place at the right time! “ Thank you for your interest in Bin There Dump That. The decision to start a business of your own may be the most important of your business career. Thank you for your interest in Bin There Dump That. The decision to start a business of your own may be the most important of your business career. There are considerable advantages to being your own boss. You want the rewards and satisfaction that can be realized only through ownership and management of a successful and profitable business. A franchise offers you this opportunity. Why consider a franchise with That Franchise Inc.? The founders of That Franchise Inc. have over 40 years of cumulative experience in franchising. Des Rice and I have been successfully franchising what is now Canada's largest lawn care company, Weed Man. Over the past 35 years, Weed Man has grown to 300 franchises across Canada and United States, and now in the U.K., with a satisfied customer base of over 350,000. We have become not only leaders in our field, but in the franchising sector as a whole.